Opeth continue their string of excellent live concert releases with Garden of the Titans: Opeth Live at Red Rocks Amphitheatre. This film/live album captures their performance from a special concert at the famed natural amphitheatre in Denver, Colorado that also featured Gojira and Devin Townsend (hence the plural “titans” in the title). The natural ambience of the majestic surroundings and the otherworldly acoustics of the venue enhance an already inspired performance into something truly special. 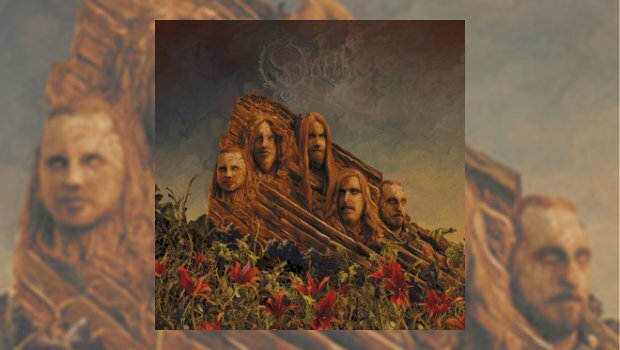 Garden of the Titans is the first official live album Opeth has released since 2010’s In Live Concert at Royal Albert Hall and is the first to feature their stellar current line-up which coalesced in 2010 with the arrival of keyboardist Joakim Svalberg. The Royal Albert Hall concert was a special 2-set event that featured a full album performance in the first set and a chronological run-through of their discography in the second. By contrast Garden of the Titans features a punchy, well-paced 90-minute set that more accurately represents what the current Opeth concert experience is like. In my opinion the most salient aspect of this release is that it demonstrates how comfortably their recent material sits alongside their earlier, more aggressive output. The setlist pulls from material that covers a nearly 20-year span and as the concert progresses you’re drawn to the synergy of the whole. 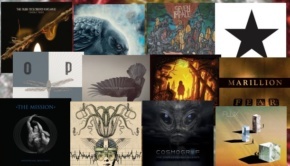 A recent track like The Wilde Flowers captures the same brutal intensity as earlier cuts like Ghost of Perdition and even when they venture back to 1998 for Demon of the Fall you find the melodic invention and progressive mindset indicative of the latter half of their career. Performance aside, the success or failure of a live album generally rests on the recording and how accurately it captures the sound of the band and the acoustic ambience of the venue. In this area Garden of the Titans is a resounding success and one of the best-sounding Opeth releases to date. The mix is perfectly balanced with all instruments clearly discernible and the crowd and natural sound of the space expertly captured. The high-resolution stereo mix on the blu-ray is especially nice and employs compression economically, which gives the recording the required dynamic space needed to recreate the experience. The live recording particularly benefits the material from Sorceress. Unhindered by the unfortunately boxy, flat production of the studio album this material springs to life. The brontosaurus-stomp title track that kicks off the proceedings sounds massive here, the better instrumental balance allowing the nuances of the arrangement to become evident. 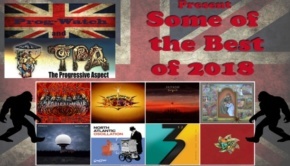 The band obviously has a blast navigating the compositional twists and turns of The Wilde Flowers and the ridiculously brisk tempo of Era, and that vibe makes these the definitive renditions. Listening to the subtle reinterpretation of Demon of the Fall (from 1998’s My Arms, Your Hearse) I think how Åkerfeldt is the sole remaining member from that recording and how he has consistently upgraded the other instrumental positions over the ensuing years. The current Opeth line-up is rock solid and this performance demonstrates how comfortable they’ve become with each other after years of constant touring. Åkerfeldt and Åkesson have developed into a formidable guitar tandem, with Åkerfeldt playing the more melodic and bluesy solos and Åkesson providing the technical wizardry with his fusion and neoclassical excursions. Svalberg’s arsenal of Hammond, Mellotron, Fender Rhodes, etc., has been fully integrated into the arrangements and his backing vocals (along with assistance from Åkesson) have become an integral element in their sound. Bassist Martin Mendez and drummer Martin “Axe” Axenrot remain one of the most impressively versatile rhythm sections around. Watching the accompanying blu-ray and being able to see these musicians interact with each other is highly entertaining. Mikael Åkerfeldt has indicated that a new studio album is coming in 2019 and even though he’s offered no hints, he has mentioned a possibility that another stylistic shift could be on the horizon. 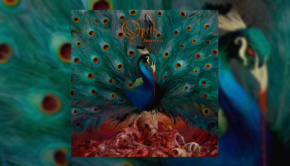 While we ponder that possibility, Garden of the Titans is an excellent encapsulation of where Opeth has travelled to date and demonstrates a band powerful enough to continue long into the future.